A number of studies have revealed strong links between poor dental health and poor overall health. The presence of gum disease, which is most frequently related to poor dental hygiene, may increase your risk of developing systemic inflammation, heart attack and stroke. 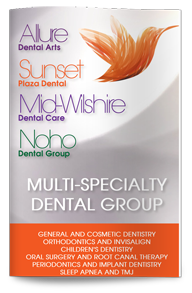 Our West Hollywood dentist explains. Gum disease is caused by the oral bacteria that live in plaque. Plaque tends to build up along the gumline and between the teeth where it can be hard to clean away. Brushing twice daily and flossing daily can help reduce plaque and bacteria. Skipping flossing and not brushing long enough or frequently enough can leave your gums more vulnerable to infection. Delaying or skipping professional cleanings may also leave your gums more vulnerable. 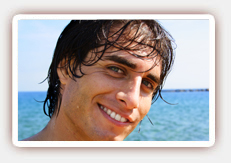 In its earliest stage, gum disease may appear as red or swollen gums that bleed occasionally. Once the condition advances, oral bacteria can access the bones and supporting structures of the teeth. Teeth may become loose, the jawbone can deteriorate and gums can pull away from teeth as infection pushes deeper into the oral cavity. Once the bacteria enter the blood stream, they can trigger immune responses that can lead to arterial inflammation, promote atherosclerosis and increase your risk of arterial plaque buildup. One study revealed that severe gum disease has a positive correlation to arterial plaque in carotid arteries, which can increase the risk of stroke. Those with diabetes are also at an increased risk of developing both gum disease and heart disease. Give us a call today to schedule your next checkup and professional cleaning.